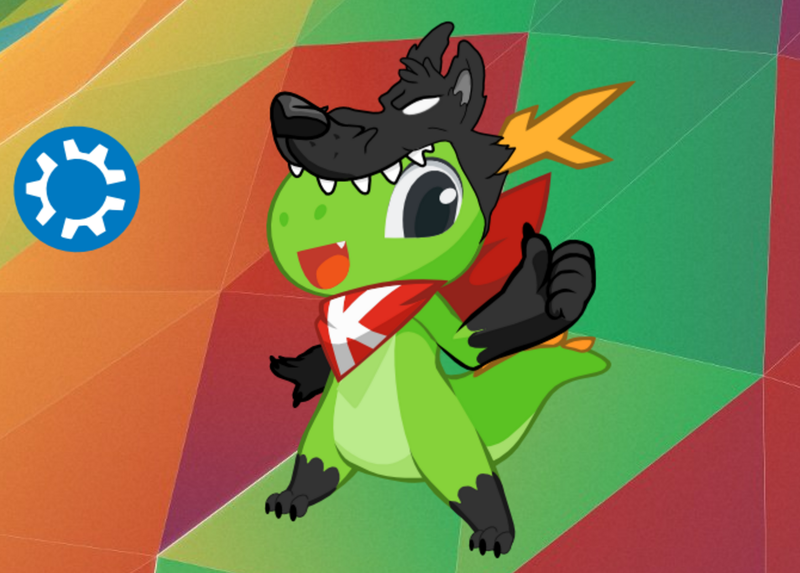 It’s the end of an era over at Kubuntu. Jonathan Riddell—who founded Kubuntu a decade ago—has stepped down as release manager and will be headed upstream to KDE. This comes after a lengthy period of spats between Riddell and the Ubuntu Community Council. On Reddit, Riddell punctuated his resignation by once again accusing Canonical—the company behind Ubuntu—of defrauding donors and violating copyrights. This is an ugly subject. Thanks to Kubuntu’s open development model, we get to see a lot of the ugliness that would normally happen behind closed doors. Licensed under GNU LGPL version 2 and later. This situation has been simmering for quite some time. 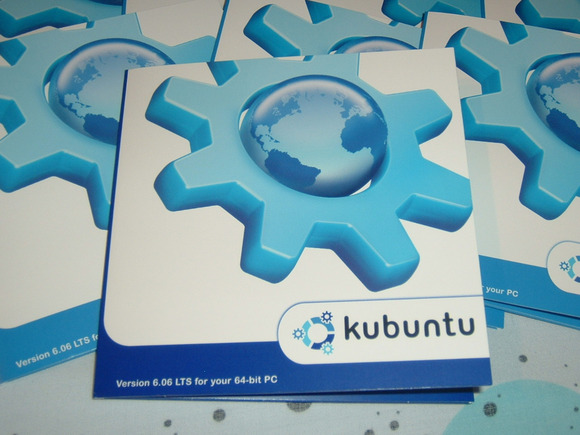 In May 2015, the Ubuntu Community Council took the unprecedented step of “requesting” Riddell step down as leader of the Kubuntu project. “Over a long period of time Jonathan Riddell has become increasingly difficult to deal with. Jonathan raised valid issues and concerns, but reacted poorly when he received answers he did not agree with,” they wrote. Riddell did eventually “step down,” but there was certainly tension—and a clash—between the two projects. Riddell’s concerns deal with donations and copyright. First, let’s start with the donations. When you download Ubuntu, you’re asked to donate money. 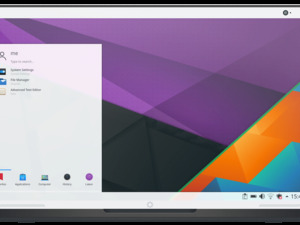 This webpage contains a variety of sliders you can adjust so you can provide input on what the Ubuntu project should do with that money. Riddell explained his concerns in an email to the mailing list. One of the options previously on this page was “better support for flavors.” Riddell was concerned that Kubuntu and other Ubuntu “flavors” hadn’t actually received any of this money. The Ubuntu Community Council looked into it, and—for the period of October, 2012 to April, 2013—there was a total of $143,000 in donations gathered for the community. $47,042.42 were assigned to “flavors” via the sliders. This $143,000 wasn’t properly accounted for, and “there is no accounting of how the money was spent.” Under the current process, thankfully, the money is now properly tracked and reported. But no one knows exactly where that $143,000 of donations went. Copyrights are Riddell’s other concern. Riddell recently attempted to draw attention to this problem with the “Jonathan Riddell IP Policy.” This IP policy, posted to his blog, states that you have to give Jonathan Riddell a hug if you use any of his “intellectual property”—packages he’s uploaded to the Ubuntu archives. It also states that nothing in this policy should be taken to contradict any of the licenses in each individual package. But this silliness serves to highlight Ubuntu’s own IP policy. Canonical has an “Intellectual property rights policy” that it asserts covers the Ubuntu archive. Jonathan Riddell himself walks through his complaints in a blog post. Canonical asserts that, by compiling the packages, Canonical gains copyright over the compiled form and can limit what people can do with them and require additional licenses. Matthew Garrett calls this IP policy “deliberately obfuscated” and asserts Canonical benefits from the uncertainty over whether it’s actually enforceable. Again, I’m not a lawyer. But, traditionally, Linux distributions haven’t asserted that such a copyright exists and have let the software licenses stand alone. 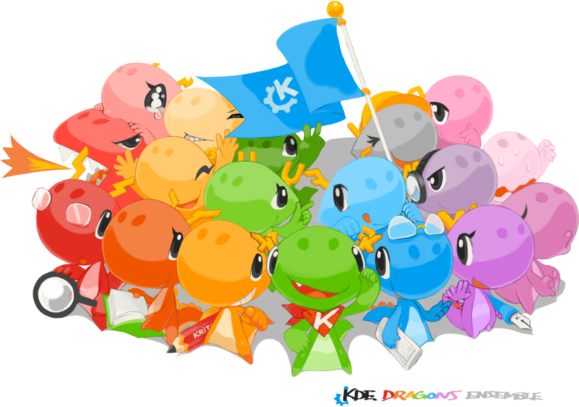 And, with that, this chapter of Kubuntu’s history is now closed.